The Child, Adolescent, and Family Centre of Ottawa (CAFCO) has been awarded the Ontario Psychological Association's Award of Merit. The OPA’s highest award honours an individual, group or organization that has made a significant or sustaining contribution to the profession of psychology and the OPA. 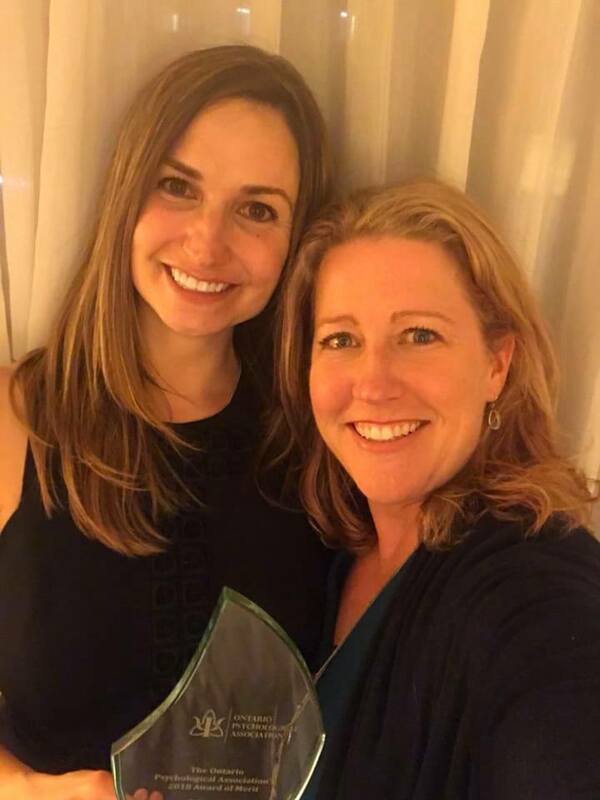 Dr. Caroline Sullivan and Dr. Julie Desjardins (Part-Time Professor and graduate of the University of Ottawa) accepted the award during the 2018 OPA Annual Conference taking place in Toronto on November 17, 2018. About: the CAFCO is a bilingual and multidisciplinary group of professionals dedicated to providing a range of health care services for Ottawa families. We offer personalised and professional care, with the goal of helping children, adolescents, and their families to develop healthy and fulfilling relationships, grounded in the principles of dignity and respect.